GAB consumers off to a golden start in the Year of Goat! Tiger Beer brings its Chinese New Year campaign, ‘Celebration of Golden Prosperity’ to a close at the exciting finale that took place at the brewery’s Tavern today. 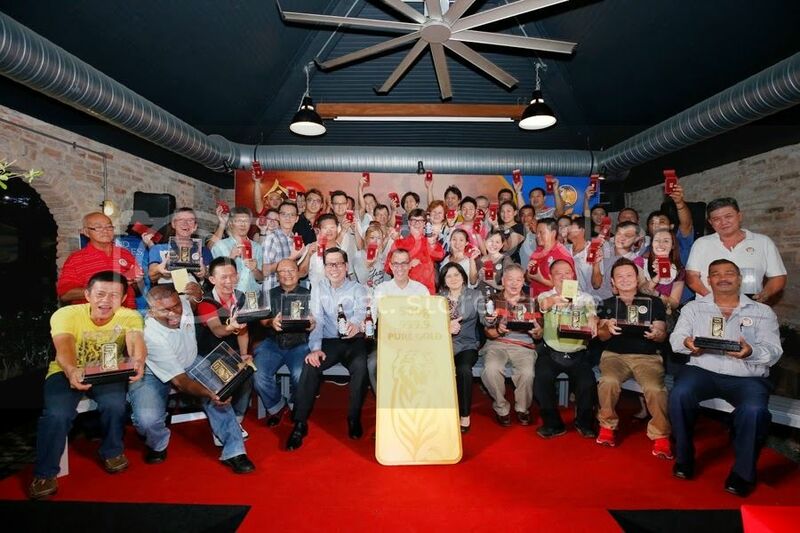 The GAB CNY 2015 Grand Finale was held to reward 44 loyal consumers with pure gold, of which 10 consumers walked away with the grand prize of 500g pure gold worth up to RM85,000 each. 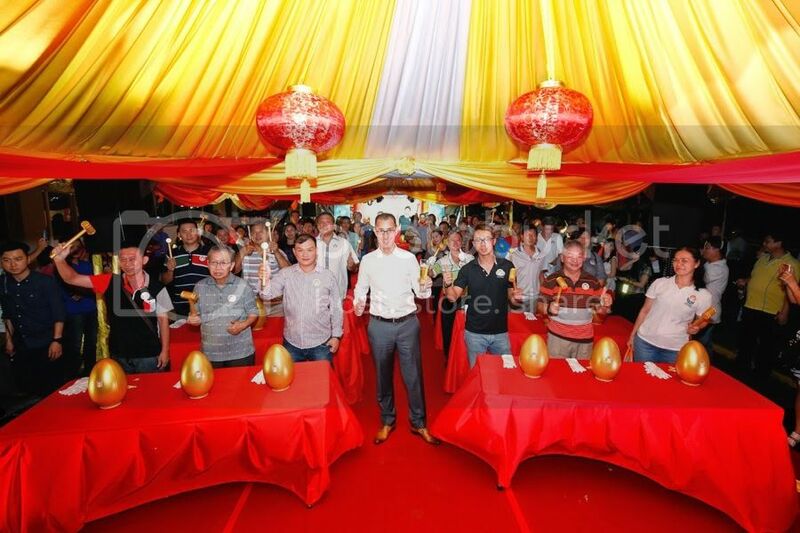 Mr Hans Essaadi, Managing Director of Guinness Anchor Berhad (centre) with 44 winners before the golden egg striking ceremony during the grand finale event of GAB CNY 2015. These 44 consumers from across the nation were among the ones who took part in the campaign activity between 5th January 2015 and 28thFebruary 2015. All they had to do was purchase any big bottle of Tiger Beer, Guinness, Heineken or Anchor and look out for the winning bottle cap liners. At the finale, all guests were ushered to the ‘House of Gold’ as the 44 winners had an exciting opportunity to strike their golden eggs to unveil if they have won either one of 10x500g pure gold or one of 34x10g worth. Building up to the finale, consumers were also rewarded with other exciting prizes worth a whopping RM1.2mil such as 100,000 bottles of Tiger Radler and 800xRM388 filled ang pow packets throughout the campaign period. 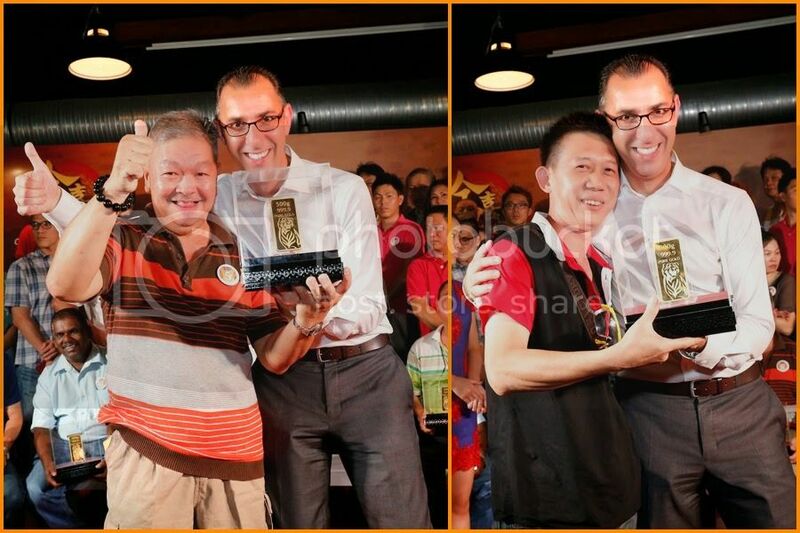 “Not only that, through this ‘Celebration of Golden Prosperity’ campaign, we were also able to reward consumers with some entertaining on-ground events at various coffee shops and restaurants across Peninsula Malaysia, providing our loyal consumers a great start to the New Year,” Hans continued. Be sure to think of GAB’s award-winning range of iconic brews in the Year of Goat filled with abundant happiness and prosperity with family and friends.